If you need to send or receive money from somebody, banks aren’t the only option. Payment services like Western Union can help you accomplish things that are impossible with your bank, but sending money with Western Union also can be risky, so you’ll want to be sure you always use the right tool for the job. The main highlight of Western Union is the network of physical locations available for sending and receiving funds. Customers can drop off or pick up cash at Western Union outlets, often located in grocery stores, convenience stores, and check cashing stores. Western Union is best for quickly sending money to people you know and trust. You can bring cash to a Western Union representative, enter bank or credit card information online, or handle everything by phone. 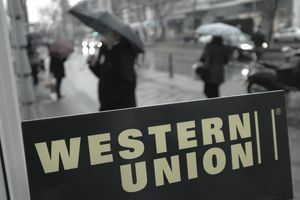 One-off transactions: If you need to send funds to somebody and you don’t want to mess with bank transfers or wait several days for funds to move through the banking system, Western Union can get the job done quickly. If your child is stranded in another city and needs cash to get out, a trip to a nearby Western Union location can do the trick. You also can send money online. Your bank could move money for you, but that would require a series of forms and phone calls. Plus, your bank might not have branches located near the recipient. Emergencies don’t always happen during banking hours, so it might be worth paying transfer fees to get things done quickly. If you need to send money to the same person regularly, it’s worth investigating alternatives. Money orders: When you need to pay with a money order, Western Union is a good option. Money orders generally cost around $1, and there are plenty of locations to choose from. Selling online: Getting cash from a Western Union money transfer is a safe way to sell online because it’s virtually impossible to reverse the transaction after you walk away with the money. You don’t have to worry about buyer protection features on PayPal or the possibility of credit card chargebacks. However, most buyers realize this puts them at a disadvantage, and they’ll insist on a safer (for them) form of payment unless they’re certain you’ll deliver. Specialized services: Western Union is one of several options for money transfers and money orders. But in some situations, you don’t have many options. For example, Western Union makes it fairly easy to send funds to inmates in certain correctional facilities. If you’re sending money for any reason, be aware that Western Union is a favorite tool of scammers. Once you send, the money is basically gone for good. The recipient can pick up cash in-person and more or less disappear. It’s often difficult to track down who exactly picked up the money, especially if the money goes overseas. How much it costs to send with Western Union and how much can you send depends on how you do it. Online, Western Union generally limits you to $2,999, but there are ways to go above that limit. It costs $11 to send funds to somebody else’s bank account. It costs $18.50 if your recipient wants to pick up cash immediately. It costs $11 if your recipient will pick up cash the next day. It costs 99 cents to send from your bank account to the recipient’s bank account (6 business days). It costs $12 to send from your credit card to the recipient’s bank account (2 business days). It costs $25.99 if your recipient will pick up cash instantly. If you send using the Western Union app or by calling customer service, the fees are similar to online fees. Sending to other countries can be more or less expensive. You also might have to pay fees to your bank or credit card issuer. If you use a credit card, the transaction will be treated as a “cash advance,” which means you’ll pay a fee and you’ll pay interest at a higher rate without any grace period. If you use a debit card, you’ll avoid those costs. Western Union is great, but it’s not always your best option. There are numerous ways to send money to somebody else, and you might save money or make things easier for everybody by using a different service. Several online services and apps allow you to send money for free. The funds typically take 2-3 business days to transfer, but if you’re not in a hurry you can save a trip to the Western Union desk. A wire transfer allows you to make instant transfers of any size from your bank account to somebody else’s bank account, although you’ll need the recipient’s routing and account information to complete the wire. Where those services fall short compared to Western Union is with speed. Most transfers are not instant, the recipient can’t pick up cash, everybody needs to sign up for an account, and overseas transfers might not be as easy.